First beach seen in Scotland. I followed the rivers meandering across the sands as the tide fell. 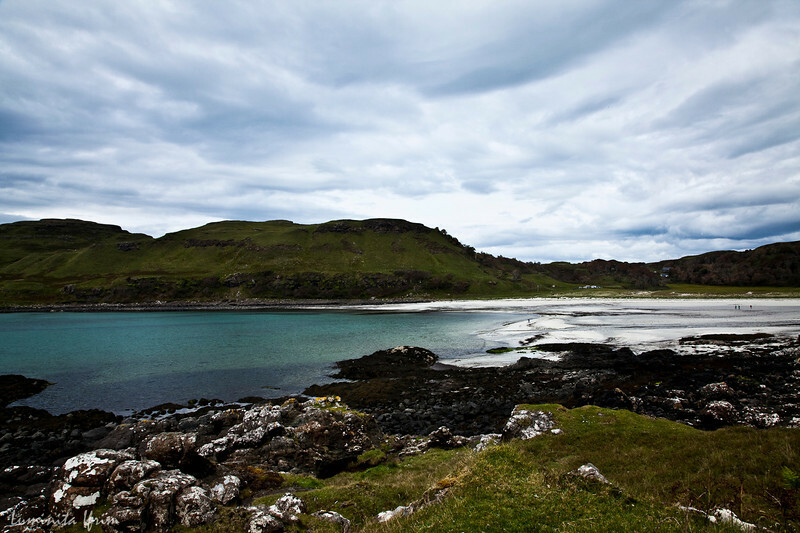 I heard the sea, I climbed the slippery rocks covered by seaweeds, I looked curiously at the machair (a grassy meadow growing on calcareous sand) which lies between the land and the beach.